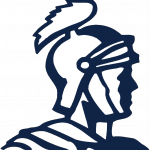 We invite Alumni to come back to their alma mater and and cheer for your FBCS WARRIORS as we host ROSEMOUNT for a set of games as follows: JHBB 3:00: JVG 4:00; JVB 5:00; VG 6:30; and VB 8:00pm. Also … make plans to come on Saturday morning, February 2 for our planned 10:00am for our Annual Alumni & Friends Brunch. All proceeds from this event benefit the Karen Burns Scholarship Fund which helps families afford Christian education for their children. We would love to have you come back and support our school! We still have some Commemorative 50th Anniversary books left! Please e-mail name & address changes to Mary Wickham also. If you’d like to be deleted from the Alumni Distribution list, please also e-mail Alison French also.